Urawa Reds were the headline-makers on the final round of J1 matches before the six-week-long summer hiatus, surging to a 6-2 rout away to 2011 champions Kashiwa Reysol on Sunday evening. Genki Haraguchi exchanged passes with Shinzo Koroki before striking a confident shot across the Kashiwa goalkeeper Takenori Sugeno for Urawa’s opener on 17 minutes, before Yosuke Kashiwagi got on the end of a low ball across the six-yard box from Tsukasa Umesaki to double the advantage in first-half stoppage time. It was Kashiwagi again who lit the blue touch paper for a rewarding second period with a direct free kick that curled over the Reysol wall and inside the near post to make it 3-0. With the home defence advancing close to the halfway line, Koroki then took advantage to beat Hirofumi Watanabe and run in on goal, drawing Sugeno and squaring for Marcio Richardes to roll the ball into the empty net. Despite two headed consolation efforts from Junya Tanaka and Naoya Kondo, Reds ensured they would have plenty of good memories to take into the mid-season break with further late strikes from Ryota Moriwaki and a second for Richardes. The huge win had little bearing on the top of the table, however, as the supposedly smaller Saitama side Omiya Ardija held onto their five-point lead at the summit with an easy 3-0 victory away to Ventforet Kofu. Omiya’s task was rendered utterly straightforward after just two minutes when Kofu defender Masaru Matsuhashi saw red for hauling down Zlatan Ljubijankič in the 18-yard area. Their other Slovenian forward, Milivoje Novaković, took advantage to convert the resulting penalty. Shohei Takahashi diverted a Takumi Shimohira free kick into the path of Kosuke Kikuchi for the second, before Novaković played a 1-2 on the right flank with Daigo Watanabe to complete the scoring just before half time with a sumptuous volley over the goalkeeper from the corner of the penalty area. A solitary header from Seitaro Tomisawa was enough for Yokohama F Marinos to remain one point ahead of Urawa in second with a 1-0 win at struggling Sagan Tosu, with Kashima Antlers still in fourth after coming back from two down to beat FC Tokyo by the odd goal in five. Antlers got off to a nightmare start after just seven minutes when Daiki Iwamasa’s attempted clearance struck Tadanari Lee to leave the Japan forward clean through on goal for the opener. Kazuma Watanabe then doubled the lead with his ninth of the season shortly before half time. But the hosts got a lifeline soon after the restart when Yuya Osako ran onto a Davi through ball and dinked it over Shuichi Gonda to pull one back, and they were level on 56 minutes after Yasushi Endo rounded the goalkeeper and saw his cutback bounce in off the unfortunate Jang Hyun-Soo. It took a suicidal piece of defending from Sotan Tanabe, who had only been on the pitch for a matter of seconds, to decide the game in favour of Kashima soon afterwards. His dallying on the edge of the Tokyo box allowed Osako to steal in and slot through Gonda’s legs to make the final score 3-2. Former Japan Olympic boss Takashi Sekizuka was present to watch his new Jubilo Iwata charges play out a 1-1 draw in their bottom-of-the-table clash away to Oita Trinita. 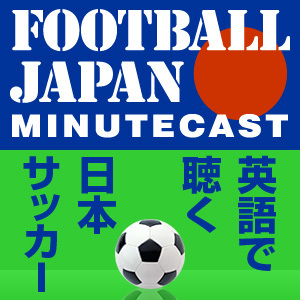 The 52-year-old, who was announced as the full-time replacement for Hitoshi Morishita last Monday but did not take full responsibility until after the Oita game, was given a sign of the work ahead of him when Daiki Takamatsu opened the scoring for the home side from Yasuhito Morishima’s pass. But Iwata did at least earn a share of the spoils to keep them off the bottom on goal difference when Takuya Matsuura’s solo run inside from the left wing saw his effort strike the crossbar and rebound for Hiroki Yamada to equalise. Elsewhere, Shonan Bellmare complete the bottom three after their 2-0 home loss to fifth-placed Sanfrecce Hiroshima, while Cerezo Osaka beat Nagoya Grampus 2-1 to leave Dragan Stojković’s men down in 14th. Shimizu S-Pulse beat Vegalta Sendai 2-0 in their mid-table clash at Nihondaira, while Kawasaki Frontale edged Albirex Niigata 2-1. The star draw of the division, Gamba Osaka, eked out a 2-1 win away to Ehime FC to go top for the first time all season after previous leaders Vissel Kobe went down to a shock home defeat against Gainare Tottori. The visitors had lost 6-0 at home to Montedio Yamagata the previous weekend but profited from the second half dismissal of Kobe defender Takuya Iwanami to defend the lead given to them earlier by Yuichi Kubo. Meanwhile, V-Varen Nagasaki are up to third in their debut J. League season following an impressive 2-1 victory over JEF United Chiba.